Another week has flown by, and it's time for the next challenge at Cardz 4 Guyz. 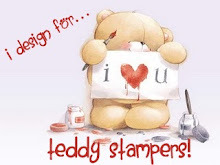 This time we would like to see your 'Valentine/Love' themed, male orientated cards. I must confess, that my card is cased from one made by the lovely Linda Parker, as I always struggle doing love cards that don't look too girlie. The card has been made using the new amazing die from Stampin Up - Bloomin' Hearts, and the stamp set and matching punch - Grateful Bunch. I know I'm biased, but I do love the quality of the Stampin Up products. The flowers and sentiment have been heat embossed. Many thanks for stopping by, and I'll be back soon with some more cards. such a cute card! great job! That die is awesome. I know we will see it around for quite some time. Love your card those gorgeous flowers and your colour choice. Thanks for sharing at Crafty Cardmakers. PS We only allow a total of 15 challenges to enter your card in. Hope to see you there again. A fabulous design and so pretty in blue. Thanks for joining in at Crafty Boots Challenges this time. Beautiful card, I love how you have made it in a single colour. Great design, I love the filigree background to the heart and the lovely flowers. Thank you for sharing your work with all of us at Crafty Boots Challenges. Wow love your version of this die, I also have the same one too....Thanks for joining Brown Sugar Challenge! This is beautiful Sharon, I love the shades of blue! Thanks for joining in at My Time to Craft! A beautiful Valentins-Card! Love, that you don't used red for it. The blue looks great! Beautiful card...male orientated (only the blue for boy) but any girl would love this card too. It's so much easier making a Valentine for kids, but you did a great job for your male. Love the Heart die cut. Thanks for joining us at Aud Sentiments Challenge. wow! Thanks for joining us at The Crazy Challenge. Good luck. Love LOVE this non-traditional blue heart Valentine's. Such a beauty!! I LOVE the blue!! So beautiful and non-traditional. 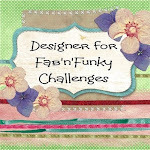 Thanks for playing along with us at the Crafter's Cafe Challenge blog! Love this, my kind of card, thank you for joining us at OSAAT.